Afghanistan will head into a run-off vote unless the two candidates can work out a deal. Afghanistan will be led either by Dr. Abdullah Abdullah or Dr. Ashraf Ghani Ahmadzai — its two choices for president in the runoff election. The preliminary results announced officially on Saturday give the former the lead with 44.9 percent of all votes while the latter received 31.5 percent, thereby necessitating a runoff election in early June if no compromise is reached between the two front runners. According to the Afghan constitution, a presidential candidate has to secure over 50 percent of all votes in order to avoid a runoff election. If that does not happen, then a runoff election is held where the two front runners fight it out among themselves; whichever candidate then secures the most votes wins the election. None of the leading contenders reached that magical 50 percent figure. As of now, 2014 seems to be headed towards a run-off. 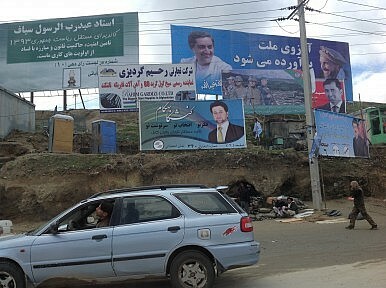 But different theories are making the rounds in Kabul these days. Some say that Abdullah and Ghani will come to a compromise and form a coalition government. The proponents of this theory believe that the Ghani has a slim chance of beating the current front runner in the second round. The argument goes that the predominant ethnic group, Pashtuns, will consolidate behind Ghani, a fellow tribesman. In the first round the votes of this group were divided between different candidates thereby weakening Ghani’s vote share. One contention is that Abdullah also favors this kind of scenario as he is uncertain of maintaining the lead in the run-off vote scheduled for June 7. Security is also an issue. The first round went off with few major incidents but maintaining the same security level in the second round will not be easy. The question that still remains is if Abdullah, the former foreign minister and the face of Afghanistan’s Tajik minority, Afghanistan’s second largest ethnic group, would compromise. Some political analysts say that the opthamologist-turned-politician will join hands with other candidates including Zalmai Rassoul, who received 11.5 percent of the vote, Abdul Rasul Sayyaf (7.1 percent) and Gul Agha Sherzai — all Abdullah’s opponents in the first round. If this coalition is formed and Abdullah manages to draw the votes that originally went to these candidates, Afghanistan will have its first democratically elected president from the north. Some observers still believe that the Pashtun majority will vote unite to defeat the Tajik candidate. “Only Election Commission has announced the preliminary results. But you have to wait until the Election Complaints Commission (ECC) submits its report and then the real picture will emerge,” says Israr Ahmad Khan, President of Awakened Youth Movement of Afghanistan, a group fighting for democracy in the war-torn country. “There is a problem if Ghani becomes the president. He does not have any Tajik in his team and it would be difficult for the Tajik-dominated north to accept him as the president. It will deepen the ethnic faultlines,” says a Kabul-based senior journalist Amir Akbari. What if a Tajik becomes the President? Would the Pashtun majority reconcile to this reality? How would the Taliban react? If Abdullah, who shares both ethnicities, with his father being Pashtun and mother Tajik, becomes the President it would be for the first time that a member of a minority ethnic group assumed the office of president with the backing of a popular mandate. In the past, he has been associated with the Northern Alliance, which was a predominantly Tajik front against the Taliban. His victory would be a great leap of faith in a country rife with deep ethnic faultlines. “I don’t think there would be a problem if Abdullah became the president through a democratic mandate in a free and fair manner. People of all ethnicities will accept it. But then reconciliation with the Taliban might become difficult. The armed opposition might exploit the sentiments of the Pashtun community and strengthen their stranglehold in the Pashtun dominated south and other areas,” opines Khan. 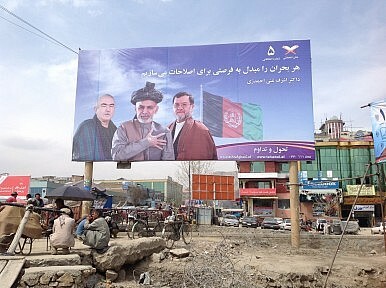 But for now, the people of Afghanistan want to see their new president sooner rather than later. Never before have close to 60 percent of Afghans come out to cast their votes, defying all security concerns. “I don’t care whether a Pashtun or a Tajik becomes the President. I want to see an honest, liberal man who can take care of this country and address our concerns. We want to build a new nation and for that old ethnic animosities and angers have to be buried,” asserts Fariba, a political science student at Kabul University. Afghan presidential candidate Ashraf Ghani does not want a "two-headed government."